At KRION we consider immediacy not as a way of life, but as a way to generate free time. 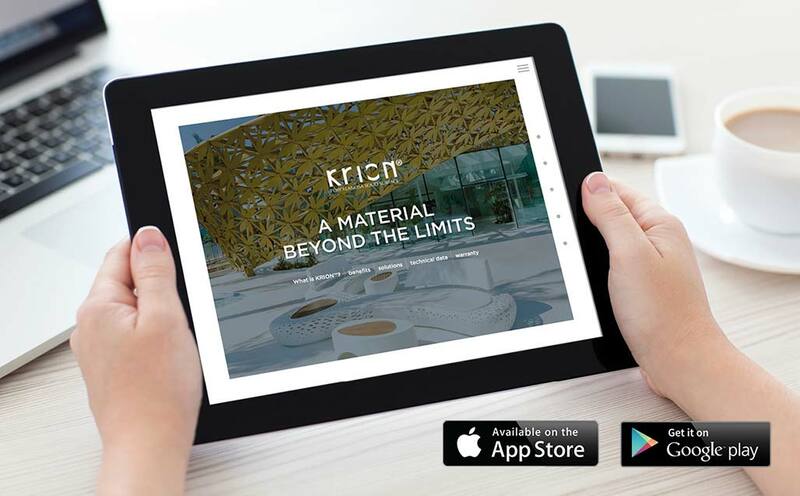 For this reason we have created the new application for tablet and iPad, on which all new products and information from the world of KRION are just a click away. With intuitive, simple navigation, the new application shows us the colours by series, allowing filtering by scratch resistance, UV resistance, translucency, recycling, and even by recommended use (bathroom, kitchen and facade). We can also see the new accessories, washbasins, sinks, etc. The projects section offers a look at some of the latest projects created with the solid surface from PORCELANOSA Group, also allowing filtering by sector. Multimedia offers us the possibility of downloading the catalogues and videos, allowing the language to be selected without needing to fill our device without unnecessary information. The application is available in Spanish, English, French, Italian, Portuguese, German, Russian, Chinese and Polish. We hope that you like it, and that it helps, informs and entertains you.